Huddersfield Town stated their intentions to progress in a new direction following the appointment of their first ever foreign head coach, David Wagner in November last year. One element of these changes was to open up the foreign transfer market; something the club has never really opted for in the past. It is no secret that Town’s squad (finished 19th in the Championship last season) needed serious work, and that this transfer window would be the most important in recent times. Wagner, alongside Head of Football Operations Director, Stuart Webber, newly-appointed Chief-Executive Julian Winter, and Chairman Dean Hoyle has wasted no time in strengthening the squad, with no less than five additions already confirmed, with many more likely in the coming weeks and months. The first summer signing was announced in… March. Follwoing speculation over a transfer in the January window, Town finally signed Rajiv van La Parra on a loan deal until the end of the season from Wolverhampton Wanderers. The deal meant the winger would make his stay at the John Smith’s Stadium permanent on a 3-year-deal in the summer. Despite his time at Wolves ending on a sour note with fans, he played 54 games for the club, scoring twice. He also had a loan spell at third-placed Brighton earlier in the season, where he scored a further two goals. After a difficult start at Town (being subsituted at half-time at Elland Road), the Feyenoord youth player has shown sparks of a quality flair player. The real judgement is likely to come next season, as he will have fully settled into Wagner’s regime, however it is unlikely there will be many complaints if he can replicate the performance against Hull more often. At a reported fee of between £750k-£1mil, this could prove to be a real coup, especially as he fits into the 4-2-3-1 formation that Wagner favours, as part of the front four. The second summer signing came in April, when Chris Lowe signed on a pre-contract deal from Kaiserslautern. The German left-back featured under David Wagner at Borussia Dortmund, and he made 11 appearences for Jurgen Klopps side, winning the Bundesliga title in the progress. Wagner has described him as a “great character and a leader”, and it is likely that Lowe will be Town’s long-term permanent left-back following the disappointment of Jason Davidson. He has over 200 career appearances, and at 27-years-old, will provide Towns defence with experience and quality. David Wagner’s third permanent signing was another pre-contract deal, this one of German centre-back Michael Hefele from Dynamo Dresden. Dresden finished champions of the German Thrid Division, losing just two matches, leading to Hefele being named in the top three players in the league. From centre back he has contributed 10 goals in 69 appearances, which will be a handy asset as Town look to make more of deal ball situations. At just 25-years-old, there is a feeling Hefele could have the potential to be a key player for Town in the coming years, alongside the fact he was a fan favourite at Dresden. If he can replicate his performances in the Championship, he may well become a favourite at the John Smith’s Stadium too. With three deals already concluded by April, it seemed an age of rumours and speculation until the club finally had more news to announce. In typical fashion, two came within the space of a few hours! The first was the transfer of Oldham Athletic ‘keeper Joel Coleman on a three-year-deal for a reported fee of around £100k. At 20-years-old, the stopper is rated highly and has been tipped to play in the Premier League, especially given the fact he has already played 45 first team games. He managed to keep 17 clean sheets in the 2015/16 season, which is excellent given that his side finished as low as 17th in League One. Although I am sure Coleman will fight for his place in the side, it has been well documented that David Wagner wants to sign at least two goalkeepers in this window, and therefore he may have to settle for a place amongst the substitutes. Town continue to be linked with Liverpool and Wales ‘keeper Danny Ward, and to further progress, he will require first team football. Wagner and the recruitment team will have no doubt had the future in mind though when persuing Coleman. Just hours after the Coleman announcement, following two-weeks of rumours, the club announced the signing of Croatian midfielder Ivan Paurevic on a three-year-deal for a reported fee of around £500k. Arriving from Russian First Division side FC Ufa, Paurevic is well known to manager David Wagner as they spent time together at Borussia Dortmund II. He is most comfortable as a defensive midfielder, however can also slot in at centre back if required. The 24-year-old made 57 appearances during his two-year stint in Russia, and saved them from relegation by scoring twice on the final day of the 2015/16 season. His arrival will add competition, hunger and experience to the two available positions as defensive midfielders. At 24, Paurevic has plenty of time to progress in a Town shirt, and his pedigree, much like Lowe and Hefele, offers positivity for Town fans. In recent weeks the club have been linked with more and more players, especially Danny Ward, Southend’s Jack Payne and 1860 Munich’s Christopher Schindler. 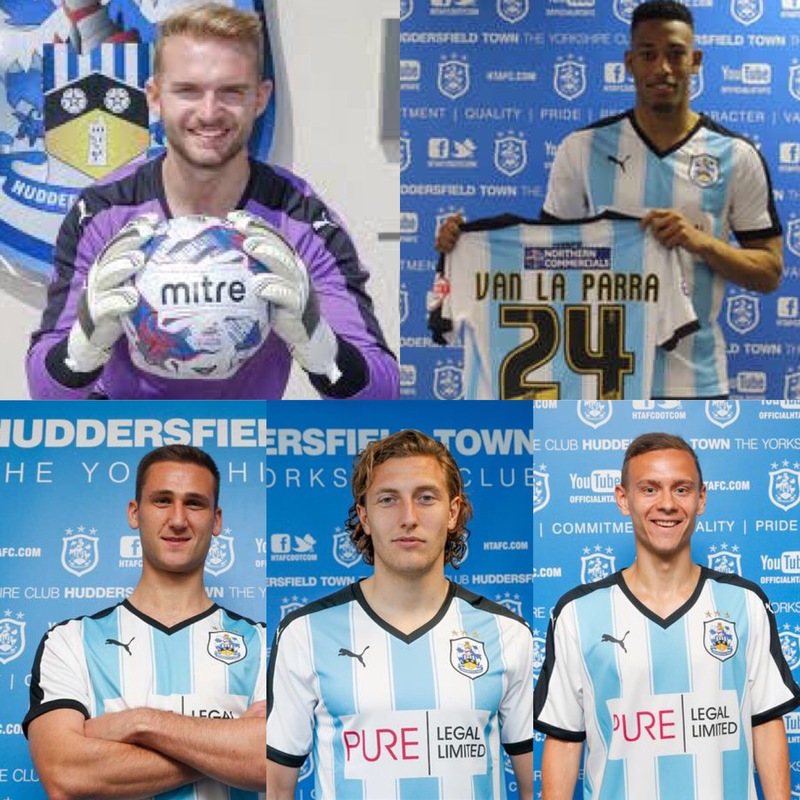 All we can do is wait, but what is for sure is that there is increased positivity around Huddersfield Town, and there will certainly be more signings! Next Dream debut for Palmer sees Terriers off to the perfect start!